The exhibition “MOTORBIKE SALON 2006” was held with the support from the Moscow’s Transport and Communication Department and the Russian National Motorbike Federation (RNMF). 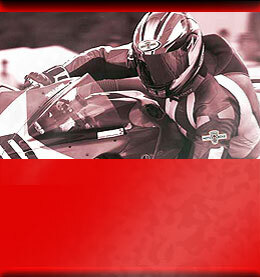 The “MOTORBIKE SALON” is the number one event of the year designed for motorcycle industry professionals and amateurs. This vehicle is gaining more popularity, especially in megalopolises where road traffic is really tough. The user content is also expanding. Motorbikes are usable by many municipal services as well. This explains why “the implementation of the International Motorbike Salon has become a remarkable event in Moscow”, noted the first deputy head of the Moscow’s Transport and Communication Department at the inauguration. The participants told the press-conference devoted to the “MOTORBIKE SALON 2006” inauguration that they place high hopes on the development of the Russian motor sport and shared the development prospects of the motorcycle movement in Russia. 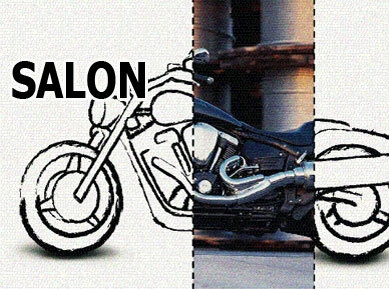 The four days of the “MOTORBIKE SALON” have evidenced its incremental popularity! This year the organizers have observed an increased number of exhibitors and visitors. The exhibition area was twice as bigger as last year, and the four days have attracted to the exposition more than 55 thousand of visitors. The majority of the exhibitors have already confirmed their participation in the exhibition “MOTORBIKE SALON 2007”, which indicates the high organizational level, dynamic development of this industry in Russia and the importance of implementing such events. 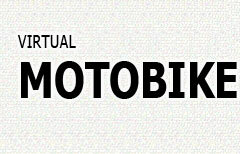 The implementation of “MOTORBIKE SALON” during the past four years was expected to raise this event to the national level in the motorcycle business. And it did. The Arteks Company, a BMW distributor, demonstrated to the Russian motor business community five new BMW models of 2006: BMW K1200GT Gran Tourist, BMW R1200S Sport, BMW F800ST Street, BMW R1200GS Adventure Enduro, BMW HP2 Enduro. Among YAMAHA models demonstrated by TRINITY SPORT, the company presented the long-awaited innovation of the 2006 model year – YAMAHA YZF-R6 and YFM 700 Raptor, a debutant of the year and ATVs sport flagship. A HARLEY-DAVIDSON official dealer represented the following models: Sportster 1200 Roadster, Dyna Street Bob, Softail Deluxe, Road King Custom, and VRSCA. The unique and sensational motorbike Virus 985C3 4V, a product of engineering and technical ingenuity of VIRUS company focusing on the creation of the world’s icon in the motorcycle industry, was demonstrated at the stand of “Motor Art Design Studio”. The representatives say it is the second and final edition of the exclusive Virus 985C3 4V that could be sold right there to a willing buyer. DUCATI presented the unique limited editions: Ducati 999R Xerox, Ducati 999s, Ducati Monster S4Rs, Multistrada 1000 DS, Sportclassic Sport 1000. In addition to the motorcycles and ATVs, the exposition also displayed various apparels: helmets, gear and accessories – bike parts, tuning, magazines and more. All exhibitors, experts and amateurs will remember the four festival days for a long time!